Mr Ang Kah Hong is the Executive Chairman and Managing Director of Tiong Woon Corporation Holding Ltd. He joined the Board of Directors on 21 August 1997. 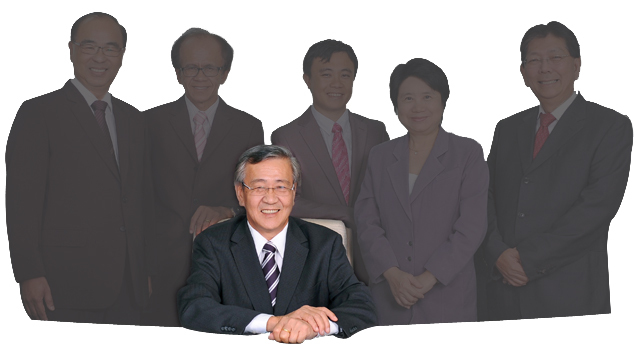 Since its inception in 1980, he has been a Director of the Group's subsidiary, Tiong Woon Crane & Transport (Pte) Ltd. He has more than 30 years of experience in the management of heavy lift and haulage operations. He is mainly responsible for envisioning the Group as a regional integrated heavy lift, heavy haulage and marine transportation service provider. His key responsibilities include identifying, formulating, developing and implementing corporate objectives and business strategies for the Group. Mr Ang is also actively involved in the corporate development activities. His leadership has proven to be instrumental and invaluable to the growth of the Group's businesses. Mr Ang Kha King is an Executive Director and joined the Board of Directors on 21 August 1997. He is one of the founding members and a Director of the Group's subsidiary, Tiong Woon Crane & Transport (Pte) Ltd, since its inception in 1980. His key responsibilities include reviewing the internal decision-making processes of the Group's existing businesses and overseeing its external operations. He actively supervises its key Operations and Maintenance Division to ensure that there are adequate machines and equipment available for its heavy lift and haulage assignments. Mrs Carrie Cheong was appointed as an Independent Director of the Company on 1 July 2009. She is the Chairperson of both the Nominating and Remuneration Committees and a member of the Audit Committee. She is a Director and Chief Executive Officer of Carrie Cheong & Ethel Low Consulting Pte Ltd, a company which provides business advisory services, financial management and corporate services. She has extensive experience relating to corporate planning and financial exercises including corporate restructuring, initial public offers, and mergers and acquisitions. Mrs Cheong holds a Master of Business Administration from the University of Brunel, United Kingdom. She is a Fellow of the Association of Chartered Certified Accountants, a member of the Institute of Singapore Chartered Accountants, a Practising Chartered Secretary and an Associate of The Institute of Chartered Secretaries and Administrators. She also serves as an Independent Director and Chairperson of the Audit Committee on the board of another public-listed company in Singapore. Mr Wong King Kheng was appointed as an Independent Director on 23 August 1999. He is the Chairman of Audit Committee and a member of both Nominating and Remuneration Committees. Following the Company's Code of Corporate Governance 2012, he has been appointed as the Lead Independent Director on 27 August 2013. He is presently the Managing Partner of K K Wong and Associates, a public accounting firm in Singapore which he founded in 2000. He is also the Managing Director and a substantial shareholder of Soh & Wong Management Consultants Pte Ltd, which he founded in 1988. From 1989 to 2000, Mr Wong was the Founder and Managing Partner of Soh, Wong & Partners, a public accounting firm. Prior to that, he was an Audit Manager in Deloitte Haskins & Sells, Singapore, an international accounting firm. He is qualified as a Member of the Institute of Chartered Accountants in England and Wales and is presently a Member of the Institute of Singapore Chartered Accountants. He also sits on the boards of a number of other listed companies as an Independent Director. Mr Tan Swee Khim is an Executive Director and was appointed to the Board of Directors on 23 August 1999. Since 1993, he has been a Director of the Group's subsidiary, Tiong Woon Crane & Transport (Pte) Ltd. As the Managing Director of Tiong Woon Crane & Transport (Pte) Ltd, he is responsible for managing and overseeing the Group's heavy lift and haulage activities with regards to marketing, operations, maintenance and project engineering in Singapore as well as the regional markets. He is also responsible for spearheading the Group's marketing activities to promote its services to both new and existing clients and identifying business opportunities for the Group. Mr Tan is the acting Group Managing Director in the absence of Mr Ang Kah Hong. 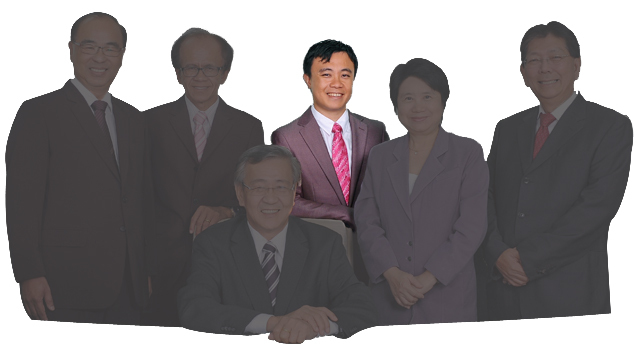 Mr Ang Guan Hwa is an Executive Director and was appointed to the Board of Directors on 22 March 2013. He holds a Bachelor of Science in Computing with Management from University of Bradford (UK). He joined the Group as a marketing representative in 2002 and assumed leadership of the sales team a year later. Following his promotion to Senior Manager in 2006, he took on additional responsibilities of business development, customer service, operations, workshop and safety development. He was appointed as the acting Chief Operating Officer in 2009 and was promoted to Group Chief Operating Officer in January 2010, responsible for the operational activities of the Group. Having been a senior management staff of Tiong Woon Group for over ten years, Mr Ang has accumulated considerable management skills and business know-how.